Life With The Speeds: The London Dungeon - Merlin Entertainment. 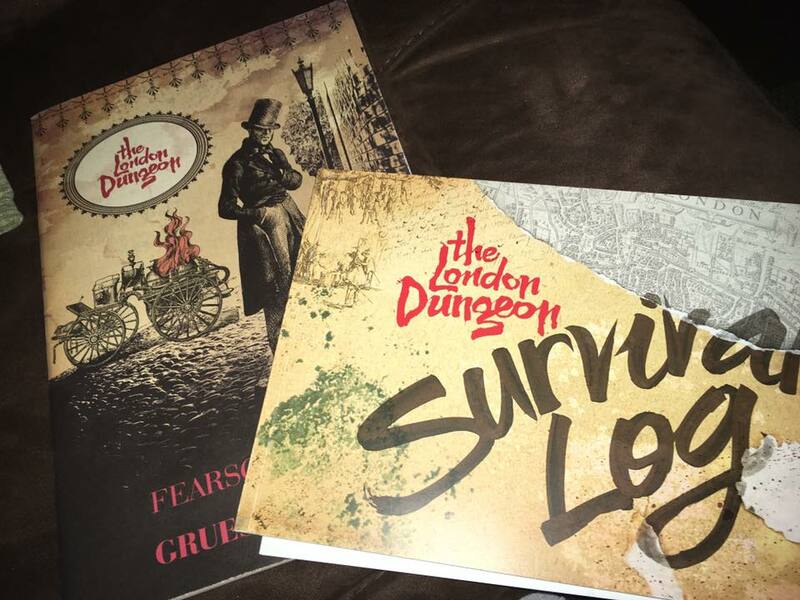 Whilst planning our trip to London we showed the girls The London Dungeon website and they were intrigued but a little apprehensive. They decided to "face their fears" and we booked up for a visit. 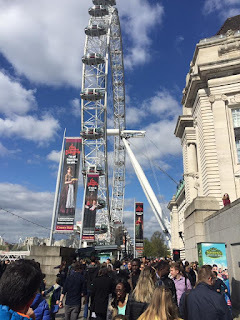 The London Dungeons are part of Merlin Entertainment, they first opened in 1974 and moved to their new location at County Hall, Westminster Bridge in 2013. Here it sits alongside several of Merlin's other popular attractions (including Sealife Centre, Shrek's Adventure and the Coca-Cola London Eye) which make the multi ticket a great and convenient purchase! 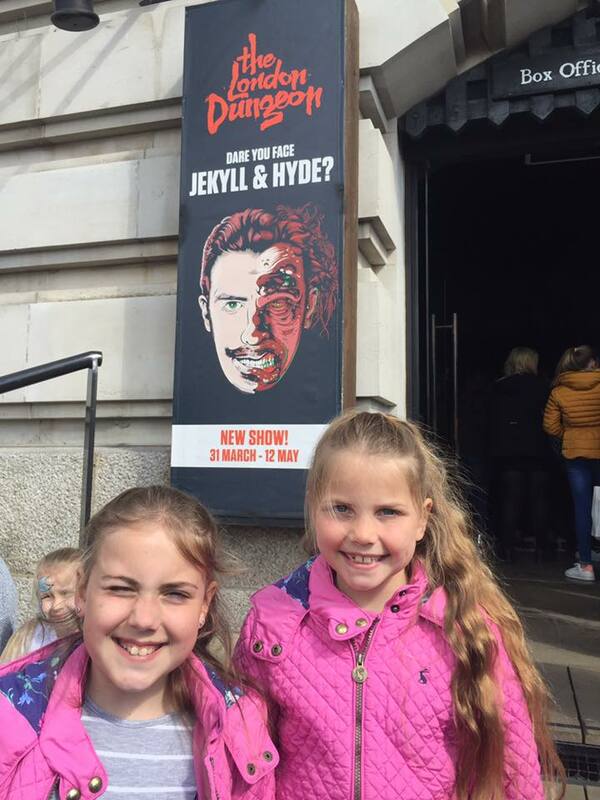 We arrived at The London Dungeons around half an hour before our booked time and the place was heaving! You couldn't move outside and we kept a tight hold of the girls in the crowd. 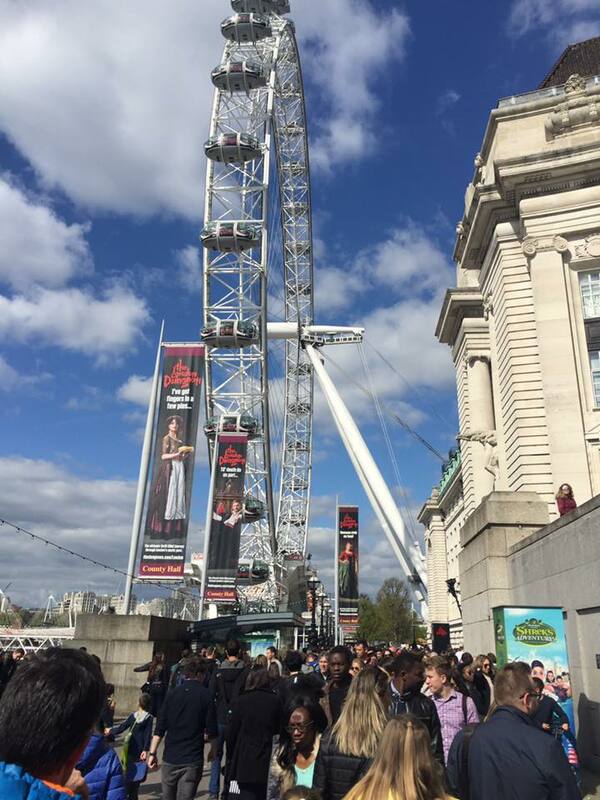 However, The London Dungeons had ample staffing outside to keep the queue flowing steadily and directing people to the right lines. There were several "Jesters" to interact with and entertain the crowds and we were kindly assisted by one as we were unsure of where we needed to be. We were moved swiftly along and before we knew it we were in the last queue before the attraction. I won't tell you everything that happened so you'll have to visit yourself to find out all the glorious gory fun! 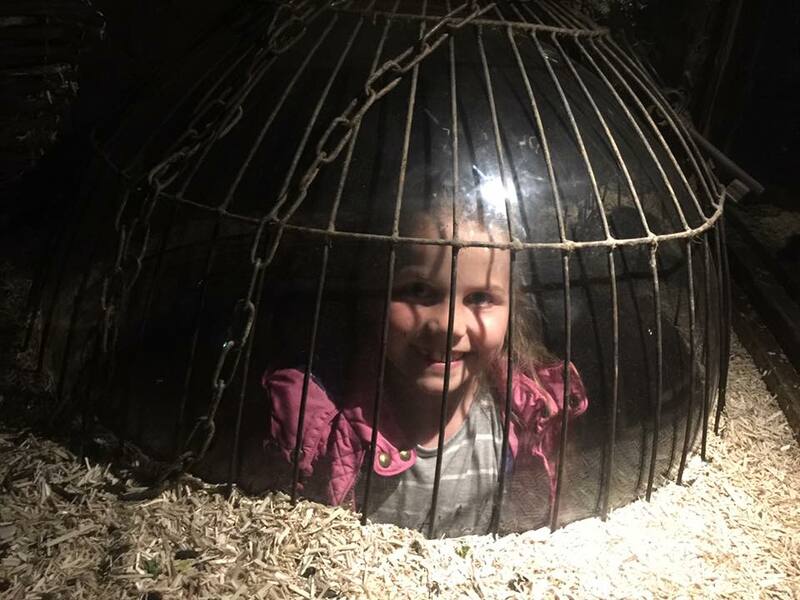 As you move through to the attraction entrance, the decor inside becomes dramatically darker, damper and the addition of RATS in display tanks adds to the feeling that you are travelling back to a dirtier and more sinister time in London's history. Then it was our turn to enter the Dungeons! Emily took a tighter grip on to Daddy's hand as we were lead in by a character. This character, a woman in her scraggy clothes and grubby face, welcomed us and prepared us for some of the horrors we would encounter and we were shown into our "Descent!" This was a short lift ride into the depths of the Dungeons and we soon heard "the lapping waters of the Thames." As we made our way through into Henry VIII's reign and heard tales of this tyrant we boarded a boat ride along the "Thames to the Tower of London." A dark ride in which we were being sent to execution. Screams and shouts from past-time Londoners shatter through the dark as you approach Traitors Gate to face your fate. Would we be beheaded alongside Anne Boleyn? From here we were ushered from our doom along a dank, rat infested tunnel and found ourselves under the Houses of Parliament, where we met Tom Bates. He tells us how Guy Fawkes was captured and tortured for 10 days! As the fuse was lit and the gunpowder threatened to explode we hurried through to find ourselves in the Torture Chamber. Here the Torturer described with gusto how each of her malicious devices would be used to torture prisoners, she was keen to find "volunteers" for this, funnily enough no one was eager to put their hand up! The Torturer had a "hacking cough" and told us that the Plague Doctor was doing his rounds and we made our way through a winding alley to the nastiness of a Pest House during the Black Plague. It seemed that the "caring nurses" were less concerned about the patients but more about how much money they could steal from their dead bodies! The Coroner followed, and he detailed how the post-mortem was carried out and Chris was called up as a victim erm patient. From here we were faced with the devastation caused by Thomas Farriner, a baker on Pudding Lane. Here we were told of how the Great Fire of London raged for days on end and caused widespread destruction. Meanwhile, thinking we were safe from the approaching flames that were savagely tearing through London, we began to notice the smoke billowing in through the woodwork. It was time to get out of there and to grab a bite to eat, we luckily found Mrs Lovett's pie shop. Delicious homemade "meat" pies. Just what we needed - or was it? All was not as it seems. Mrs Lovett ushered us out of her shop so she could deal with her next delivery and her sister Flora decided it was time we went for a hair cut, or perhaps a shave for the men? Flora - a nervous and twitchy girl, told us of how Sweeney was a traditional barber, he could offer haircuts, shaves, teeth extraction and surgery! .....a swift exit and we are greeted by a well spoken thespian who told us the dramatic true story of Richard Mansfield, the infamous actor who portrayed Jekyll and Hyde. A volunteer was asked to try a vial of water as used on stage, I won't go into detail here but things took a turn and we were rushed out quickly and found ourselves in Whitechapel. Here Mary Jane Kelly, a working girl, told us about the terrors evoked by the mysterious murderer Jack the Ripper. To this day it is still unknown who he was and many theories still haunt London's history. 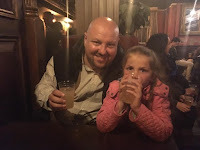 To escape the grip of Jack we took refuge in the Ten Bells Pub, this set features a raging storm and some lightening, I had the strangest feeling we were not alone! Time for a little lighter relief as we were sent before The Judge! Here several of the visitors were put on trial, including Chris! Those sent to prison could have learnt a thing or two as we met Jack Shepherd, he famously escaped from FOUR prisons! To demonstrate one of his escape tricks he asked someone to "act" as the guard, yep - Chris! Leaving him locked up, the girls and I made our way to the Drop Ride to Doom. This is a short drop ride, there are height restrictions on this, no one under 140cm permitted to ride so it was left to Chris to face the executioner alone. Whilst we waited we were shown our group photos. These were available to purchase as a pack for £20 and included a picture book with your two photos added, plus keyring and fridge magnet. As we left here we presumed the tour was over and were pleasantly surprised to find ourselves in the Tavern. 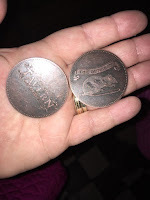 Here we were each given a token to trade in for a free drink. There was a choice of ale, gin cocktail, juice or cola slush (this had actually run out as was a popular choice). A nice touch at the end of the tour, the Tavern was set up as an old Victorian London pub, the decor was of dark heavy wood and pewter mugs. And as we sipped our drinks we enjoyed the music from the ghost piano! 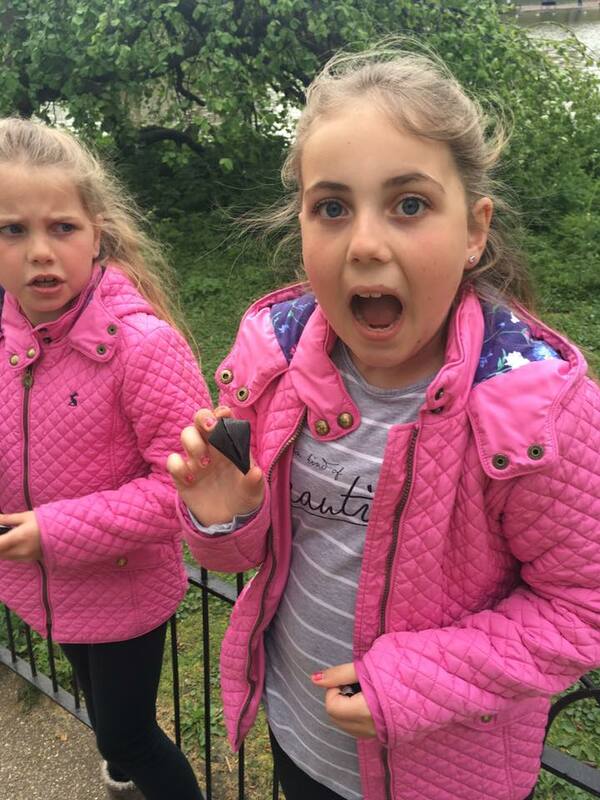 The girls used some of their pocket money to buy themselves a "Misfortune Cookie" each! Just £1.50 and there were several other pocket money buys available too. 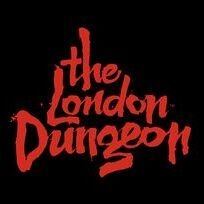 The London Dungeons are easily accessible by tube, foot or bus, the nearest tube stations are Waterloo or Westminster. 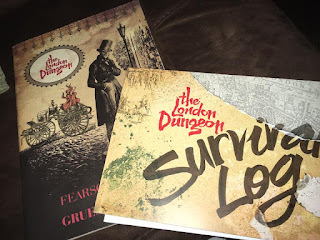 To find out full details about the London Dungeon then checkout their website or find them on Facebook. We thoroughly enjoyed our visit to the London Dungeons and although the girls were worried about it beforehand, and were scared at times during the visit it wasn't anything unbearable for them, as Mollie said afterwards "it was a funny sort of scared!" and declared it one of her favourites. 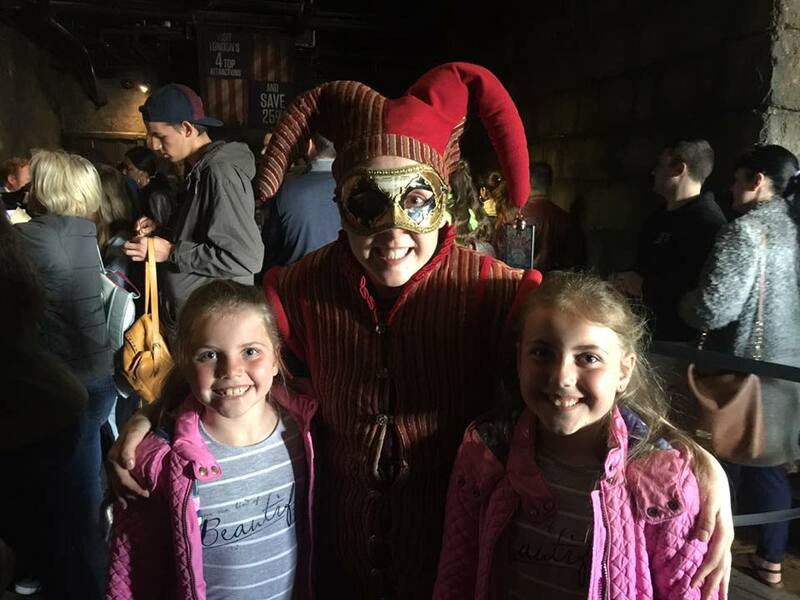 Mollie - "it was a very enjoyable experience and I would love to go again!" Emily - "it was scary but I felt safe. My best part was Jack the Ripper." Be sure to check it out next time you are visiting London! The Coca Cola London Eye.